As a special treat for Halloween, we present an conversation between Orson Welles and H.G. Wells, courtesy of Alan Dean Foster. Some of you may recall it was 66 years ago that the radio broadcast of War of the Worlds by H.G. Wells scared the pants off everyone. Enjoy this look into the past! 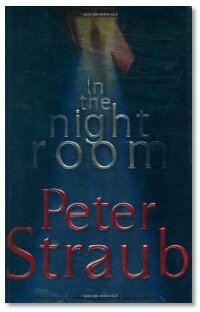 Sticking with the horror theme, Peter talks about his new novel In the Night Room. Peter has been classified as a horror writer and is comfortable with the lable, but we put him more in the "theater of the mind" realm. Angry angels, alternate realities... it's jut hard to classify. But it's a great read. Be sure and check out Peter's website for a special treat. He-Man in another live action film. The line ups start tomorrow. Evo decides to piss off the Brits since he pissed off the Candians. They've got spider issues AND they talk funny.